cdl-clearinghouseOn December 2, 2016, the U.S. Department of Transportation’s (DOT) Federal Motor Carrier Safety Administration (FMCSA) announced a final rule that would establish a National Drug and Alcohol Clearinghouse for commercial truck and bus drivers. The clearinghouse database will serve as a central information warehouse that will contain records of violations of FMCSA’s Drug and Alcohol Testing Program (Part 40) which is required for commercial driver’s license (CDL) holders. The National Drug and Alcohol Clearinghouse Final Rule goes into effect in January 2020, which is three years after its effective date. Once the clearinghouse database is established, motor carrier employers will be required to query the database for information regarding current or prospective employees who have unresolved violations of the Federal Drug and Alcohol Testing Regulations that prohibit them from operating a commercial motor vehicle (CMV). 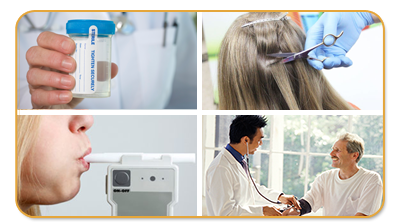 The Final Clearinghouse Rule also requires employers and medical review officers (MRO) to report drug and alcohol testing program violations. To learn more about the drug and alcohol clearinghouse, click on this link. Read the full FMCSA press release.